‘The Witch’ is a work of huge ambition, spanning tens of thousands of years and taking in every inhabited continent. The title, even including the subtitle, scarcely does it justice. While it’s main focus is on the image of the witch across time and in many cultures, it ranges far beyond that central theme, taking in religious and political history, folklore, ceremonial magic, shamanism and more, in Europe, Asia, Africa and the Americas. Its scope is an important part of the book’s raison d’etre and appeal. 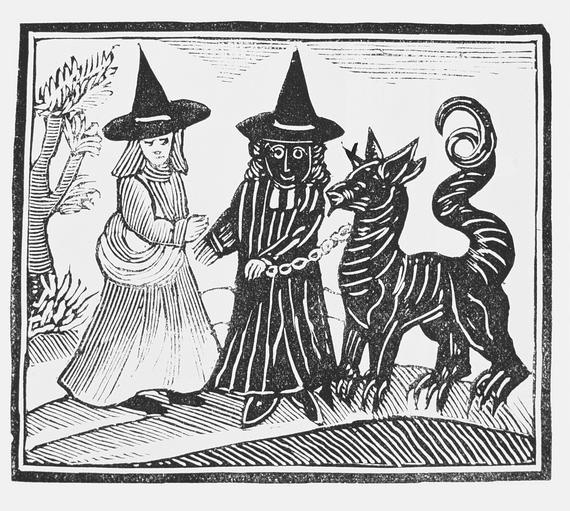 Rather than focus on a narrow exploration of Witchcraft trials in early modern Europe, it seeks to place the phenomenon of European witchcraft in a deeper historical and global context. In doing so it opens up new debates and offers fresh perspectives on existing ones. 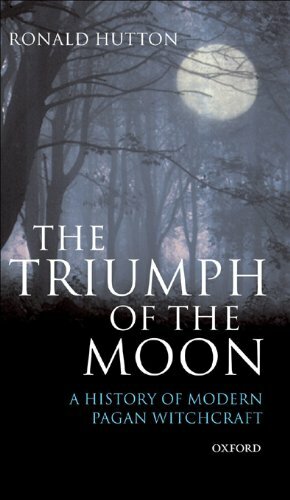 Few historians are better equipped for this task than Ronald Hutton, whose previous work has ranged from the Reformation to Druidry via modern Wicca and Siberian Shamanism. In discussing witchcraft and perceptions of it, it is necessary to define what the term witchcraft has meant to most people in most cultures and at most times. In making such a definition, it is necessary to compare witchcraft with other forms of human engagement with spiritual forces including religion, shamanism and ceremonial magic. To do so requires defining each of these. This the author does with admirable lucidity. Of course, not everyone will agree with the definitions arrived at, and Hutton himself admits that they are contestable. The chosen definition of witchcraft itself may prove contentious, even though it is firmly based on the most common use of the term over many centuries, that being a means by which individuals seek to harness spiritual powers and/or magic to harm others. For this reason alone, The Witch may prove as divisive of opinion in the Pagan community as Hutton’s previous works on the subject, The Triumph of the Moon (Oxford University Press, 1999), and Witches, Druids & King Arthur (Hambledon, 2003). For those who might get apoplectic, it is worth remembering that this is about witchcraft as commonly defined throughout history, not about the present day constructs of Wicca, ‘white’ witchcraft, ‘hereditary’ witchcraft and related Pagan traditions that were the subjects of those earlier works. Having trained in Alexandrian Wicca in the late 1970s, I have often suggested to Wiccan friends and colleagues that a simple way to improve the public image of Wicca would be to discard the use of the terms ‘witch’ and ‘witchcraft’ in describing themselves and what they do. Having described myself as a Druid from the mid-1970s, before joining my coven, I have long been aware of the very different public responses to the terms ‘witch’ and ‘Druid,’ the former being largely hostile, the latter largely positive, albeit tarnished in recent years by the aggressive militancy of an unfortunately vocal minority. 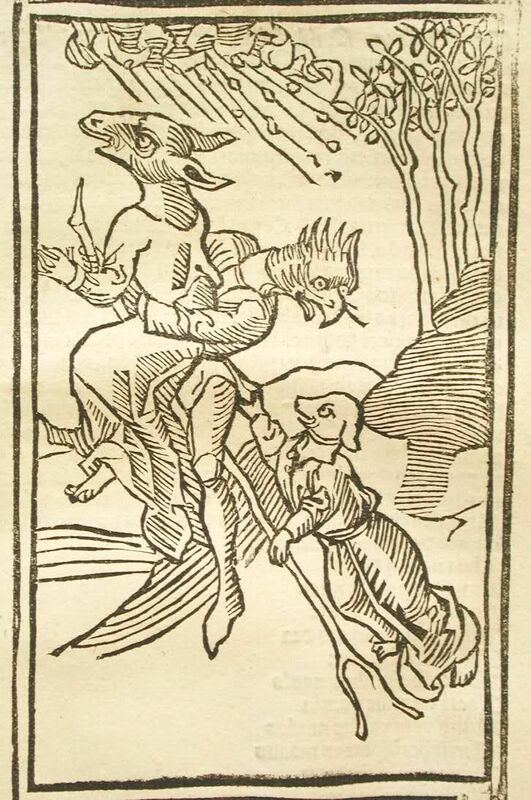 One of the book’s innovations is the creation of a new description of those who use magic largely to benefit others, often in return for payment, as ‘service magicians.’ This useful term covers a wide range of medicine men, witch doctors, wise women, cunning folk, shamans and the like who may use techniques similar to those attributed to witches but who use them, on the whole, benevolently rather than malevolently, defensively rather than offensively, often for reversing the perceived effects of witchcraft. My one problem with the book results directly from its ambitious scope: even with 300 pages of text and the use of a fairly small font, there are innumerable points passed over in a single sentence about which one would like to know so much more. Just on page 224, for example, there is a brief reference to a 16th century male magician in Dorset who contacted the fairy folk “in their homes inside prehistoric burial mounds.” Living in the West Country, not too far from Dorset, I would love to know more about John Walsh, as he is named in the endnotes. The same paragraph refers to a “Susan Swapper, a reputed service magician at the Sussex port of Rye, in 1609.” I went to school in Rye for 12 years, yet had never heard of this woman and would love to know more about her. Knowing the way publishing works, I imagine that the publisher insisted on a page limit. If this is so, I wish Yale University Press had been a lot more generous with their allowance. Under the circumstances, it’s as well that the author provides nearly 50 pages of carefully referenced notes. These have led me to seek out John Walsh’s confession online and to invest £15 in the book, Rye Spirits, by Annabel Gregory (The Hedge Press, 2013), and £60 in The Visions of Isobel Gowdie, by Emma Wilby (Sussex Academic Press, 2010). Over the years, Professor Hutton has done a great deal to inspire academic research into paganisms old and new. This book represents a summary of the current state of research into the historical figure of the witch and other magic users and, as such, also points to where gaps in our knowledge remain to be filled. From the chapter devoted to ‘Witches and Fairies,’ for example, there is clearly scope for a substantial book just on the relationship between British magic users and the fairy folk as recorded in trial documents and other sources from the mid-15th century to the 18th. Throughout this period and right across the British Isles, such relationships often involved accessing the fairy realm via earthen mounds, meeting with a fairy queen and being taught various healing techniques by the fairy folk. The fairy folk referred to are not of the tiny, Edwardian, butterfly-winged variety, but are human sized, often spirits of dead humans known to the magician, sometimes shape-shifters. In a brief review, it is impossible to do justice to the sheer range of information contained in this book. It is stuffed to the gunwales with everything from illuminating minutiae to grand ideas, all woven together with Hutton’s accustomed skill, clarity and insight. It’s not surprising the book was twenty-five years in the making, nor that research assistants were employed to make possible the task of sifting through the vast number of works consulted. 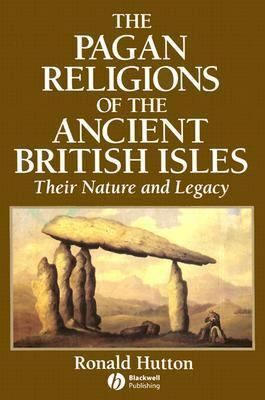 Having read most of the author’s books since 1991’s seminal Pagan Religions of the Ancient British Isles, I am increasingly impressed by the care with which he credits previous researchers in the fields covered. In this, as in much else, Hutton shows an unusual generosity of spirit. The present work is no exception. At each step of the way, full and fair acknowledgement is given to earlier writers and their ideas. This is part of what might be called the Hutton Project, which is not only to present histories of the various topics on which he writes, but to detail the history of those histories through reflecting on the lives and opinions of the historians who have formulated our understanding of the past. I suspect that this is a book that will resonate in the academic study of witchcraft and magic for some time to come, helping set the agenda for future research and encouraging that research to expand its range and ambition. I certainly hope so. For the non-academic, it is not an easy read simply due to being so densely packed with information. For this reason, I suspect its impact in the modern Pagan community will be considerably less than many of Hutton’s previous works. This is unfortunate, since it offers not merely food for thought but a veritable ten course banquet. A Druid Course … at Last! Medieval Literature: Why Should We Care? Greywolf on Medieval Literature: Why Should We Care? Greywolf on Bronze Age Clay Drums? roselle on Medieval Literature: Why Should We Care? Súle Greg Wilson on Bronze Age Clay Drums?